The 1-0 CAF Champions League defeat against defending champions Wydad Casablanca at the Stade Mohammed V on Friday night has left Mamelodi Sundowns with an uphill battle to stay in the tournament. With Guinea outfit Horoya having beaten Togo Port 2-1 in an earlier Group C game, Sundowns find themselves third on the standings with five points, with Horoya on eight, and Wydad guaranteed a place in the quarter-finals with their 11 points. 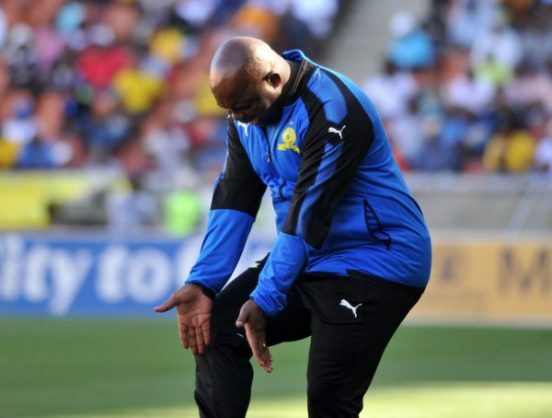 This means Sundowns now have no choice but to beat Horoya in their final group game – in Pretoria on August 28, in order to continue their quest for a second Champions League title in two years. The Tshwane team found themselves under pressure in the early stages in front of a packed house in the Moroccan capital, although they did have a good early chance when a superb fourth-minute ball from Gaston Sirino played in Anthony Laffor, but the Liberian’s snapshot flew over the bar. As the game wore on, Sundowns settled into their rhythm and enjoyed some good passages of play, failing though to find the penetration needed to threaten the home goal. Masandawana keeper Denis Onyango was also not called into any serious action for the remainder of a first half which was short on chances. Onyango, however, found himself under increasing pressure after the restart and he came to Downs’ rescue on a couple of occasions but was then unable to stop Wydad taking the lead in the 56th minute when Anas El Asbahi let fly with a long-range effort. There was a positive response from the South Africans as they pressed for an equaliser, Sundowns substitute Jose Meza, in particular, a threat to the hosts’ advantage. Meza was to test Casablanca keeper Yassine El Kharroubi with a stinging free kick 10 minutes from time, before missing another good opportunity in the 85th minute. With that went the Brazilians’ last chance as the North African team remain on track to successfully defend their title.